Look at the picture below. You are in a crawl space looking at the moisture barrier that covers the floor of the crawl space. What’s wrong? HINT: Duct tape really has very little use in home construction. ANSWER: Moisture does a real number on duct tape. Moisture is common in a crawl space. So using duct tape in the crawl space to hold the moisture barrier to the foundation block wall probably will not last very long. In fact it probably will take just a few days and it will look like the photo below. HABITEC is a residential (home) and commercial building inspection company serving Middle Tennessee including Nashville, Brentwood, Franklin, Murfreesboro, Smyrna, Mt. Juliet, Hendersonville, Dickson, Clarksville, Belle Meade, Columbia, Spring Hill and more! In addition to building inspections HABITEC offers Environmental Services for mold assessments, radon testing and water quality analysis. Additional information about HABITEC can be found on our website at http://habitecinspections.com, or call 615-376-2753. 10. Vegetation encroaching on the house. Vegetation that encroaches on the home can damage the home, trap moisture against the home, and allow a path for insects, rodents and reptiles to enter the home. Keep vegetation at least 18” away from the home or components. 9. Window or door trim caulk. Cracks or gaps in the caulk around door and window trim can allow water to penetrate behind the trim. This water can deteriorate the trim and the framing near the doors and windows. 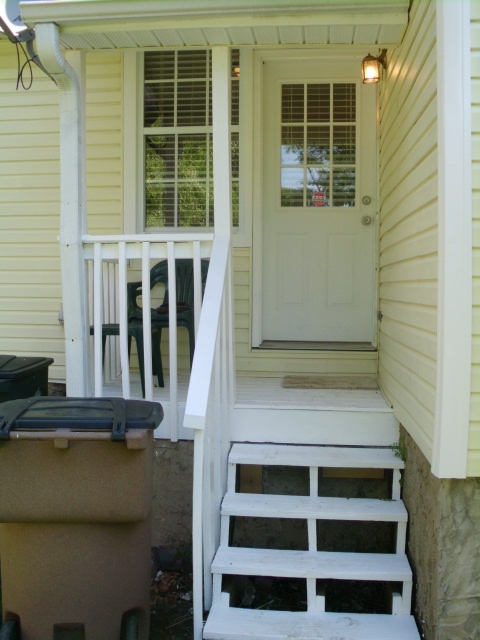 Any crack or gap in the trim or caulk should be repaired with new caulk and paint. 8. Brick veneer stress cracks. These cracks are most likely located near the corners of doors and windows, or at the down-slope corner of the home. 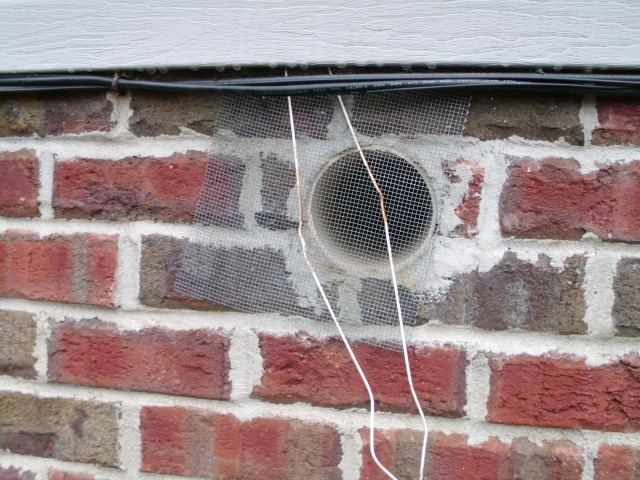 Brick veneer cracks are frequently an indication of water management failure. Repair any crack in the brick veneer that exceeds 1/8 inch in width. 7. Roof penetration boot cracks. 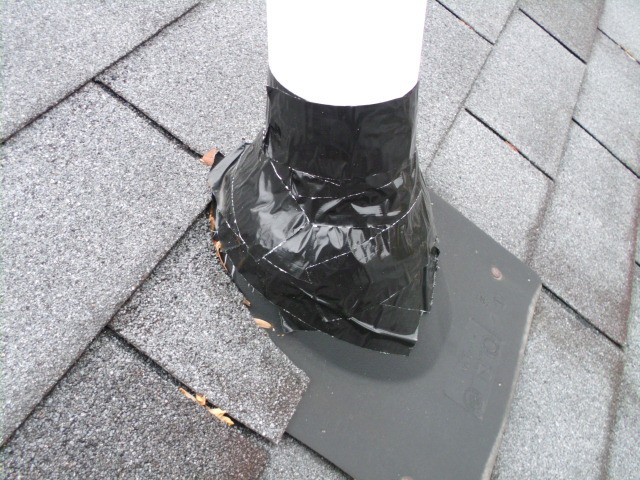 The rubber-like neoprene component of roof penetrations (roof boots) for plumbing vents can crack after about 7 years and cause roof leaks. Use of caulk is only a temporary repair. These cracked components need to be replaced. 6. Condensate drains. HVAC condensate drains that terminate at the foundation wall can allow significant moisture to accumulate at the foundation wall and possibly enter the crawl space. Condensate drains should terminate at the exterior of the home, at least 18” from the home, and to terrain that slopes away from the home. 5. Grading and lot drainage. The grade of the soil adjacent to the home can allow moisture to flow toward the home and weaken the foundation or enter the crawl space or basement and create an environment conducive to mold. HABITEC recommends at least a 6” drop in grade over the first 10’ of horizontal space from the home. 4. Failing roof drainage systems including gutters, downspouts and extensions. Gutters that are full of debris, rusted or poorly sloped can allow water to overflow and drop to the foundation wall or backflow into the attic or house. Downspouts that are disconnected from the underground drainage components can allow water to drop at the foundation wall. Make sure these components are clean and function properly. 3. Inadequate crawl space moisture barrier. Some moisture will inevitably make its way to the crawl space. Having a crawl space moisture barrier of 6 mil plastic covering 100% of graded crawl space soil that slopes to a positive drain will help control moisture that does make its way to the crawl space. 2. Water in the crawl space. Water in the crawl space can cause either structural failure if allowed to pool at the foundation walls or around the piers, or mold to start growing on the wood components. 1. Crawl space mold. 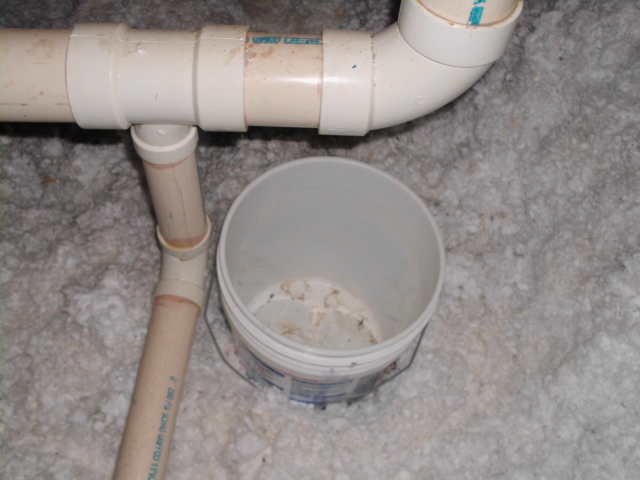 Moisture allowed to accumulate inside the crawl space can lead to mold in the crawl space. Forty percent of the air that enters the home comes from the crawl space. Mold can be hazardous to your health. Make every effort to prevent moisture accumulation in the crawl space. Look at the picture below. You are standing in a garage of a residential home looking up at the ceiling of the garage. What’s wrong? HINT: High humidity and cool ductwork can make for a sweaty situation. ANSWER: Sweaty indeed. In this case the ductwork in the garage was installed right over where the cars parked. So guess what happened during the hot steamy months of summer. Condensation. Lots of it. Enough that the home owner took matters into their own hands. Rather than improve the insulation on the ductwork, they just bagged it. What you are looking at is plastic hung under the ductwork to catch the condensation as it drips off. Not sure where it went from there, maybe they just let it build up and later evaporate. Whatever, this installation qualifies for a “non-conventional” grade and a visit from the local HVAC technician. Surely there is a better way to fix this problem. Another picture of a similar fix in the same garage is shown below. Look at the picture below. The picture was taken from the top of the roof of a new home, looking down into a valley of sorts. What’s wrong? Is that a piece of debris left over from the roofers? 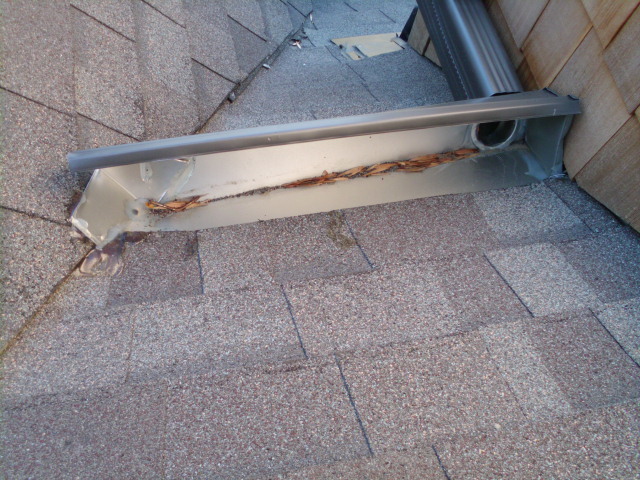 Or is some new type of “gutter guard”? 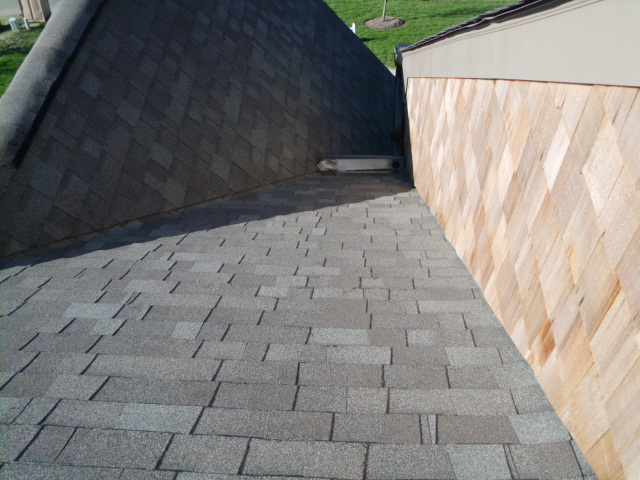 HINT: Gutters should be used at the end of the roof, not the middle. ANSWER: No, it is not a piece of debris. It is a piece of gutter installed intentionally toward the end of the valley. Apparently in an attempt to direct runoff into the gutter/downspout system. But this is highly irregular, don’t you think? A closer view is shown below. So it might work, sort of. But what if a little more debris collects there? And how much water can it handle? And how did it pass the municipal inspection? Remember, it’s a new roof! And how is it held in place there? Please look at the photo below. I found this on a roof at a plumbing vent penetration. What’s wrong? HINT: Do-It-Yourselfers love duct tape. ANSWER: The neoprene composite boot for residential plumbing vent penetrations is good for only 7-8 years before they start to crack due to the effects of sun and rain. There is a cheap fix available at most home supply stores that is a boot sleeve that simply slips down on top of the damaged boot. You cannot see the damaged boot in the photo above because a do-it-yourselfer solved the problem with some duct tape. At least they used black duct tape so it looks like the composite boot. But soon this amateur repair will fail also because tape does poorly in sun and rain as well. And speaking of failing, when we see this installation, we make a note to check below this area in the attic to see if there is evidence of water intrusion. After all, most folks would not make this effort with the tape unless there was an event that drew their attention, right? Look at the photo below to see what we found in the attic below this taped repair. That is a bucket strategically placed below these vent pipes. Unfortunately there was nothing on the disclosure statement about previous water leaks. To comment or ask questions send email to richard@habitecinspections.com. Look at the picture below. Do you know what’s missing? HINT: Try to get a grasp on things. ANSWER: It looks nice enough, doesn’t it? New paint and all. But let’s count the steps. I count 5, when you include the last step up to porch. So what is missing? How about a “graspable handrail”? A graspable handrail is recommended any time the number of step risers is 4 or more. So you might say they have it in the 2×4 handrail on the left, right? Not really. There is a very specific definition of a “graspable handrail”. In fact it is so detailed it is best to show you a picture. Please see below. The International Residential Code (IRC) rules are mostly in place now. 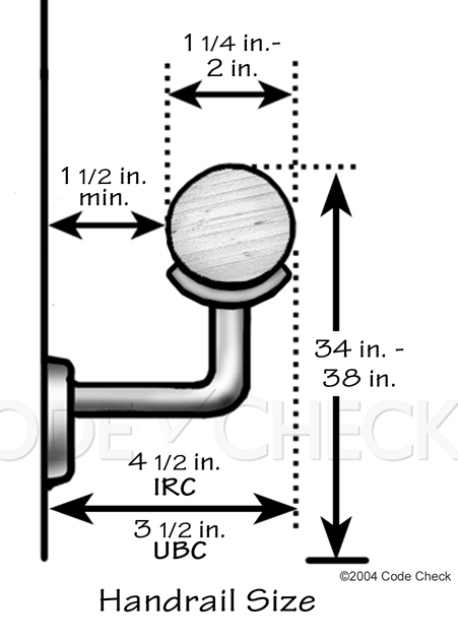 The handgrip portion of the graspable handrail shall not be less than 1 1/4 inches or more than 2 inches in cross sectional dimension, or the shape shall provide an equivalent gripping surface. The handgrip shall have a smooth surface with no sharp corners. Handrails projecting from the wall shall have a space of not less than 1 1/2 inches between the wall and the handrail. The handrail should be continuous and should return to the wall or the rail at the ends. So the basic idea of a graspable handrail is something you can wrap your fingers around. That is why a 2×4 does not work. Think about the very young and the elderly. On any step system, but certainly on one with steep steps or with uneven step risers, they need a graspable handrail that is firmly mounted to help them up and down. To comment or ask questions about this article please email richard@habitecinspections.com.